For the most part, I have the market cornered on anxiety where my family is concerned. I’m lucky to be surrounded by such a chill bunch…and they (my husband, sons, brother, parents, and extended family) are lucky to BE such a chill bunch. Except, that is, for Halloween. Halloween, and all of its associated scary, jump-out-at-you, ghoulish surprises are *not* my younger son’s idea of a good time. I have my fingers crossed that he’ll grow out of this as he gets older, but I’m also prepared for “fun but frightening” to just really, truly not be his jam. Whatever the long-term may hold, I’ve built a cache of ideas to have at my fingertips so that I am prepared to help him in a meaningful way when autumn strikes and we find ourselves on the defense everywhere from a trip to the grocery store to a walk around the neighborhood with all of its attending spooky decorations. When your kid expresses fear or uncertainly, it can be tempting to avoid the situation causing the fear altogether. I get it. But when you suggest to your child that avoiding hard things makes them go away, you’re not setting them up to deal with the realities of life. Life is hard and life is scary. As difficult as this can be as a parent, it’s important to let your kids experience pain and difficulty while they’re still under your roof so you can help them navigate their fears and hardships. By not canceling Halloween for your family, you’re giving your kiddo a chance to face up to his or her fears, in a safe way. This is not about being a (totally annoying) Pollyanna over things and claiming outlandish silver linings for every uncertainty, thus wholly dismissing your child’s fears. This *is* about teaching your kid the power of reframing their thoughts and stories about a situation so they can begin to take responsibility for their own emotions. When your child expresses a certain fear, give him practical, concrete ways that he can overcome it. Instead of guaranteeing that “it’ll be fun!” and “nothing scary will happen!” recognize that the fear is there…and then suggest how confident *you* are that he will be able to handle it. When you’re talking with your kid about Halloween, try to avoid leading questions like, “aren’t those costumes creepy?” or, “don’t those decorations freak you out?” By suggesting doom and gloom, you’re leading your kid towards more fear. Keep your questions open-ended and stay curious while he answers. 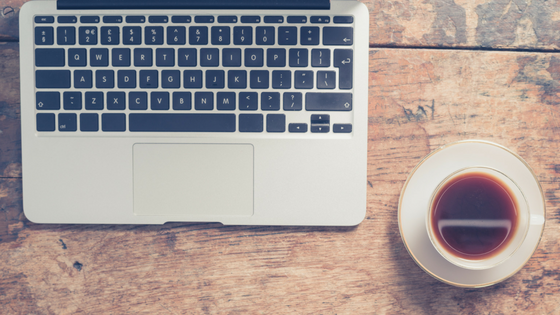 You may find hidden gems amongst the commentary that will help you figure out how to further support him. The work you’re doing with your kid and the relationship and trust that you’re building with him can be about far more than just Halloween, after all. Last year, our family went trick-or-treating with a huge group; all of our favorite friends came along and the result was a bit overwhelming for my son who was already grappling with the fear of scary things on Halloween. Because of the size of the group, I made a game-time decision with him and asked him if he wanted to use a code word to signal to me that he needed a break from the action and some quiet time away to regroup. He perked right up. I told him to come up with a word and I came up with a word and we put them together (in our case, peanut butter dinosaur). This became our secret language for the night; whenever he said, “peanut butter dinosaur!” the 2 of us would break off from the group and walk for a bit on our own, looking at the stars or the lake and grounding ourselves in all that was around us that felt good. This gave him a way to recalibrate organically…and after using this code word twice, he didn’t need it anymore. This last tip is the most important one of all. Remind yourself: the goal is not to take the anxiety away from your kid. The goal is to help your kid get through the anxious feelings. By showing your kiddo that she can do hard things (like Halloween! ), suggesting to her how confident you are in her abilities to handle the evening, listening to her and showing her she’s got your full support, staying curious and asking open-ended questions, and allowing timeouts using a (preferably silly) code word, you’re modeling healthy ways to manage fears and anxieties to your child. Allowing your kid to feel anxious and showing her how to get through those feelings, you’re building one of the most important foundations a child can take into adulthood: the power to feel how they feel without the impulse to avoid, numb, or deny those feelings. 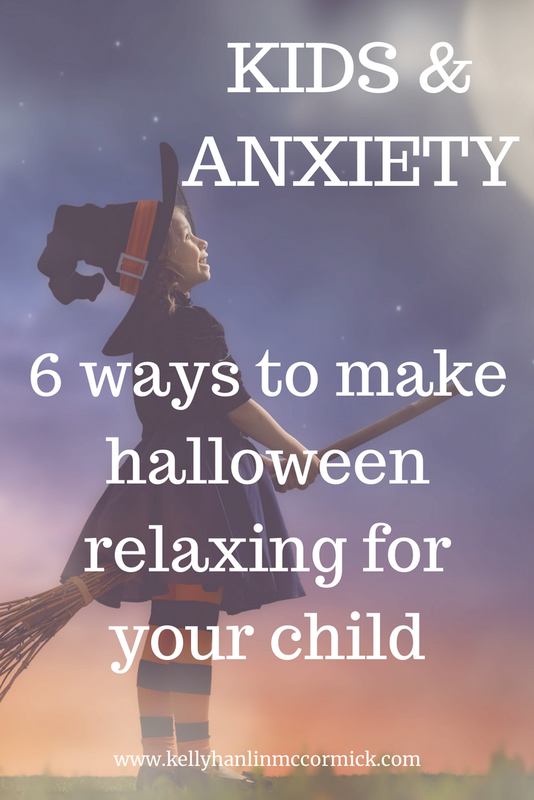 Let me know how you handle anxieties on Halloween, or any other time of the year, with your child. We’re all in this together, folks, and the more we share and support each other on the journey, the stronger our kids will be.